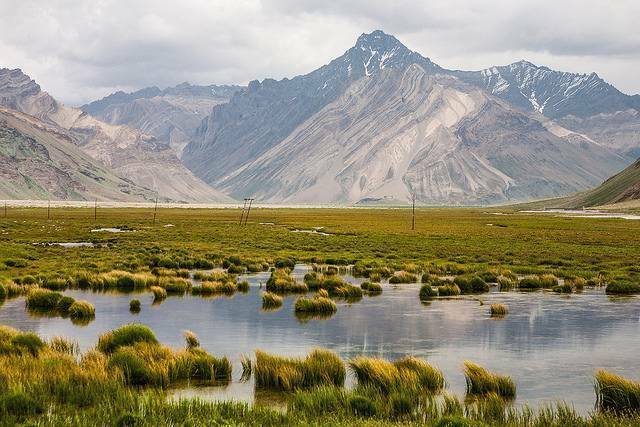 In stark contrast to the Himalayan glaciers, Suru Valley is a lush green valley in Ladakh. The apple, apricot and mulberry trees take you to a completely different world. Suru Valley is a popular trekking destination with Sankoo, Panikhar, Rangdum and Padum in the Suru and Zanskar Valleys being bases for various trekking routes. Popular attractions include nun and kun massifs, phokar rock carvings, suru river, parkachik glacier, panikhar and parkachik villages.